The best electric bass guitars sound pure and sweet and anyone can master them pretty quickly. 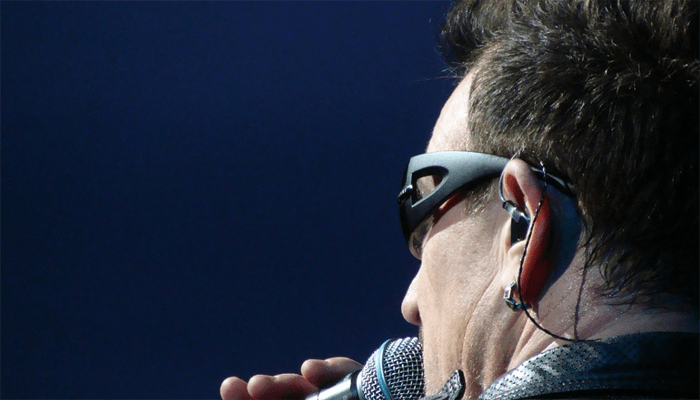 They add a deeper layer to your songs and add a spark to them. Both professionals and amateur musicians can benefit greatly by incorporating this musical instrument into their recordings and practices. While practicing, it is useful to have a metronome to keep instruments in time. 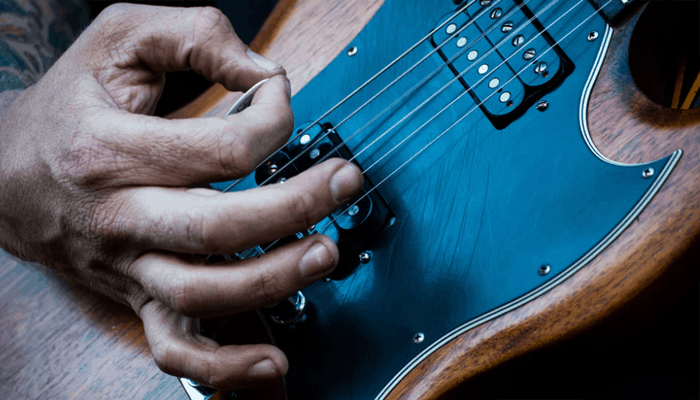 The fact that you can achieve a balanced sound with this guitar no matter what your skill level is makes it one of the most commonly used guitars throughout the world. Buying such a guitar or any musical instrument in general requires attention to detail and a lot of thorough research beforehand. 1. Can You Slap an Acoustic Bass Guitar? 2. Can you Hear an Acoustic Bass? 3. 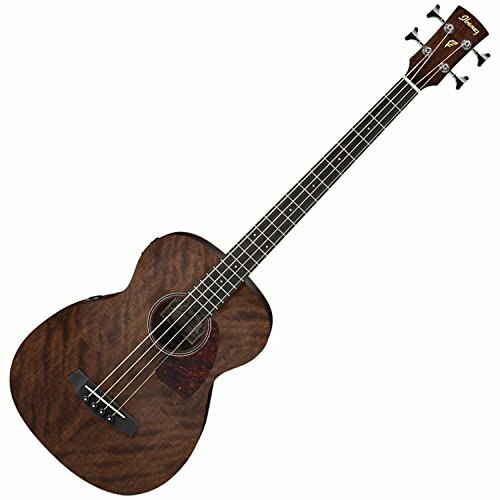 What Scale Acoustic Bass Should I Get? Obviously everyone wants to get the best thing they can get at the best price they can find. Here are the essential details that will help you make the right decision and get the best product suited for your needs. Only 2.6 pounds, making it incredibly lightweight. 1/4 inch output jack with 9V output battery. The Ibanez Acoustic Electric beginners bass guitar starter is perfect for anyone who wants to add a new layer to their music. It's a good investment considering the make of the guitar is truly high build quality. It has a mahogany neck, back, and sides. The 32-inch AEL body shape, spruce top, and chrome die-cast turners are all proof of its good value for money. It's great either as an acoustic precision bass or plugged in for that electric sound, and the best part is that anyone can use it. 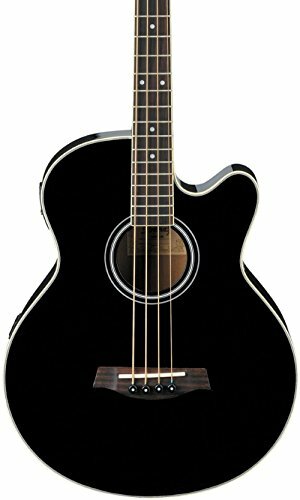 The all-black body shape of this beginner bass guitar looks both classic and modern, so not only do you get excellent quality but really nice aesthetics as well. + Acoustic and electric options. + Reasonable price, good for beginners on a budget. Why We Liked It - Guitars can be quite expensive especially if you're just starting out your music journey. This beginners bass guitarm offers a lot for an incredibly reasonable price. 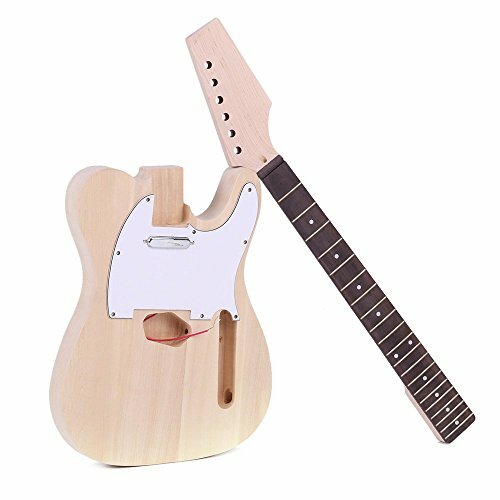 The materials used in its construction are good build quality and mean that this guitar is quite durable. Check out the Ibanez GSR200 as an alternative. Doesn’t it feel great to find something you're looking for at a price much lower than you expected? That's what you'll get if you choose to buy this particular acoustic highend bass guitar. If you're a newbie this should definitely be one of your top potential picks - it's designed to be simple enough for beginners. It comes with a 4 band equalizer, adding to its already fantastic value. With mahogany sides and back and a die-cast chrome machine head, it's nothing less than a bass player’s dream instrument. There are 22 frets and a rosewood fingerboard, it has everything you'd find in a high-quality acoustic bass guitar. The neck is slim and sits comfortably with an adjustable truss rod. +22 fret with a rosewood fingerboard. Why We Liked It - The gloss finished body of this highend bass guitar is worth every penny. You'll love the feel and look of it. And the best part about this guitar is that it is super affordable. Even a high schooler can afford it using his allowance. 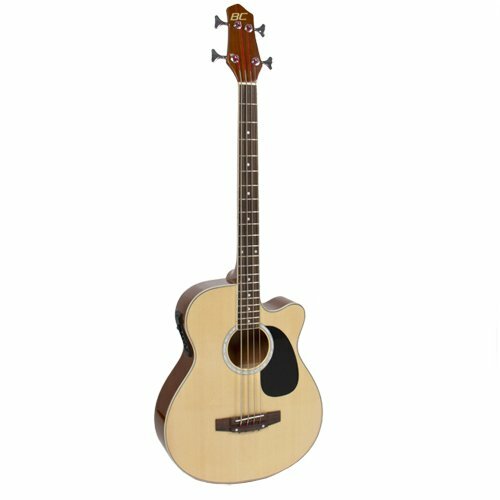 This acoustic bass guitar is designed to be truly versatile in terms of different musical styles. It follows the Ibanez design philosophy which is about taking a modern approach. It has an Ibanez under saddle pick up preamp. There is a ¼” inch output jack and 9V of output battery. There are 20 frets and the bridge pickup and pins are high-quality plastic. The finish is downright amazing with open pore finish that speaks volumes about its design. It's incredibly lightweight at only 2.6 pounds. This highend bass guitar is perfect for both professional and non-professional use. + Only 2.6 pounds, making it incredibly lightweight. +1/4 inch output jack with 9V output battery. Why We Liked It - Ibanez is the name behind some of the major high-quality guitars in the world and many guitarists prefer their products. This is one such guitar that lives up to its manufacturer’s name and delivers high quality. It has a beautiful sound that you'll fall in love with. Now here is something that belongs in a studio. Fender’s Dreadnought Cutaway Acoustic Electric Bass guitar starter is nothing like your run of the mill acoustic bass. The sound it produces is nothing short of perfection and the many features on it help make it possible. You have a Fishman Isys bass Pickup system and onboard preamp and tuner. It has a resonant spruce top made even better with scalloped X-bracing. As for the body shape, you won't be disappointed in the slightest. It has mahogany body: back, sides, neck. This guitar is feather light even though it's a full-size bass measuring 34 inches in length. + Has a Fishman Isys bass Pickup system. Why We Liked It - This is something that any guitarist who wants the best possible bass will love. It has everything you need to learn to play an electric bass guitar. Even if you haven't played acoustic bass before, with this guitar, you'll be well on your way to mastering the instrument. This jazz bass guitar is downright easy to use and quick to master with its innovative and easy access cutaway design. Whether you are into jazz, hard brock or gospel, this guitar will suit any music style you like. For beginners, this is the best thing to practice on and improve electric acoustic and standard jazz bass playing skills. It has a natural wood finish that looks classic yet has a modern touch to it. The neck is slim and comfortable and all other parts are designed to add comfort to the playing experience. It is quite long and a bit heavier than other acoustic bass guitars. It is 44 inches long and weighs 7.2 pounds. 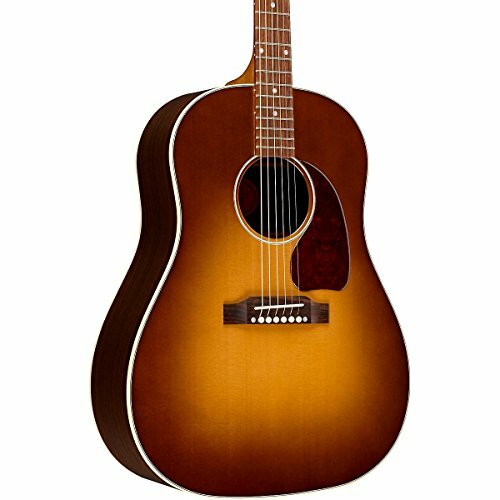 + Great affordable beginner guitar. Why We Liked It - For newbies, it is an ideal for mastering acoustic jazz bass. 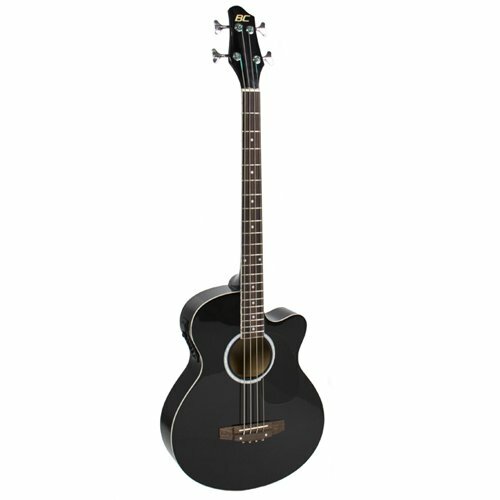 It's affordable which makes it a great first electric acoustic bass guitar choice. The look and feel of this guitar is great and anyone with a sense of style would appreciate the intricately designed features. With this guitar, you can play bass with or without amp. Yes, the Dean EAB acoustic-electric bass guitar is exactly what you need if you want to practice a lot. That said, it's a great choice for anyone from beginners to pros as it's easy to use and produces high-quality sound. It has a mahogany body neck with a fretboard made from rosewood and has pearl dot inlays, for an overall stunning look. This guitar is a looker and would definitely earn some envy with its celluloid rosette and binding body. Don’t be surprised if people stop to ask you where you got. The Dean tuners ensure that you get the best possible tuning whether plugged in or not. Even though it sounds amazing on its own, you have an onboard preamp to turn up things and take control of the sound. + Play with or without an amp. + Gorgeous finish with rosewood fretboard and pearl dot inlays. + Amazing sound perfect for beginners or pros. Why We Liked It - What's not to like in this great guitar? Aside from the technical quality, the look of this guitar makes it a definite winner for us. The finish is nothing less than perfection on a guitar. If you're looking for something that has a sweet sound but doesn't cost a lot, then this guitar from DirectlyCheap is exactly what you need. As its name suggests, this is a cheap but quality acoustic guitar that will work seamlessly and produce sound on par with expensive bass guitars. 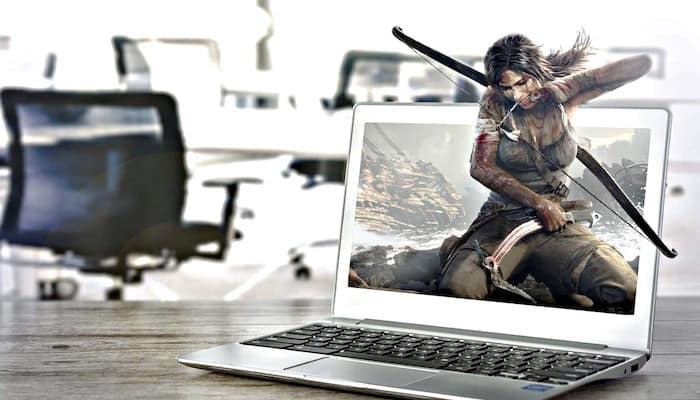 If you go into all the technical specifications, you'll find that it's supplied with enough features which should price it in the several hundred dollar range. However, you get it for far less and that's why it is ideal for those looking for decent quality on a fixed budget. It has solid wing Grover-style tuners and a rosewood fingerboard. You have independent volume and tone controls which makes your playing experience even easier. 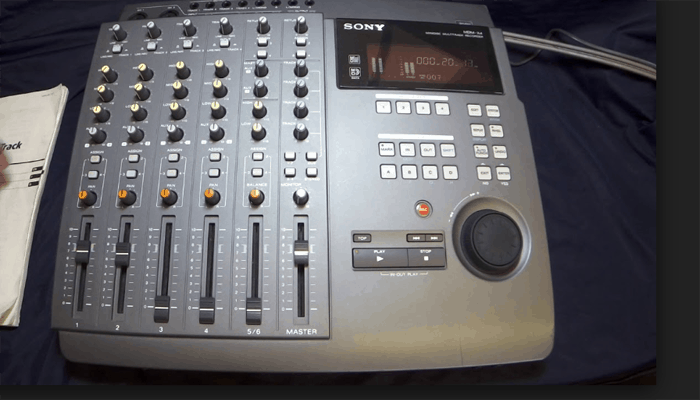 It has a slim body design that would suit any kind of setting whether at home or in a studio. + Solid wing grover-style tuners and rosewood fingerboard. + Incredibly inexpensive given the number of features it has. + Has independent volume and tone controls for easy play. Why We Liked It - This guitar offers great value for money as you get something on par with high-end acoustic-bass guitars at a low price quite. You get nice sound and practicing on this instrument should be easy for anyone. A bonus is that it has a sweet look to it. 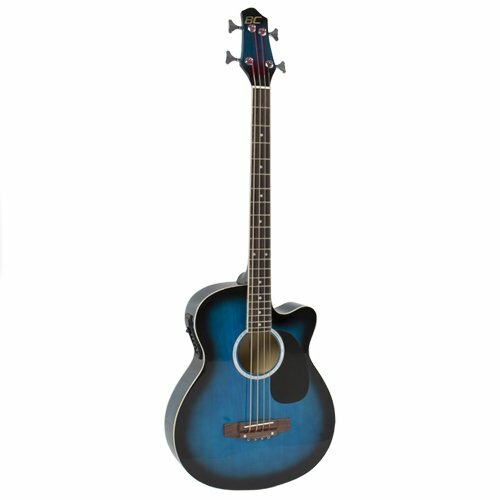 This solid wood acoustic bass guitar with a blue finish will add some serious style to your music regimen. The high-gloss finish on quality wood looks incredibly beautiful. Obviously, looks aren't your primary focus when buying a guitar, but let us tell you that this beauty sounds as good as it looks. It's a short scale 30-inch bass that should be good for both regular use and practice. It's another good choice if you have a limited budget and aren't in the market for something super high-end. + Amazing finish and look. + Lightweight and good for gigging. Why We Liked It - It ma be inexpensive but this guitar delivers decent quality. It's small and lightweight making it portable as well. However, for us our favorite feature is the shiny blue finish which is so attention grabbing. Calling out all those backpackers! Here's something you'll love. A travel acoustic bass guitar with a gig bag. Since it's designed for folks on the go, it's super light, weighing in at only 3 pounds. It's only 30 inches for ease when you're on the move. You can plug it into any bass amp thanks to its 1/4” output. It features a lap rest frame which provides a lot of ease whether you're playing while standing or sitting. Its sound is just as loud as an unplugged bass guitar. It has an ebonized rosewood fingerboard with vintage modified clay dot inlays. It'll make your journeys much more musical and allow you to experiment and start playing bass in different landscapes. A lot of people like to play in serene locations and need something portable, which exactly what this instrument delivers. + Has a sound comparable with any standard bass guitar. + Comes with gig bag. + Ultra lightweight making it great for travel. Why We Liked It - An extremely portable bass guitar for using on your travels. Small and lightweight, it produces as big a sound as any other decent quality bass guitar from a well-known producer. The bag it comes with sweetens the deal on this fantastic instrument. This is a truly high-quality, high-end acoustic bass guitar from Fender. It's definitely one of the best you can find out there. It costs more, but the good thing is that it comes with a hard shell carrying case, adding a lot more value for the price. This is necessary because when you are investing so much in a guitar, you naturally want it protected. The solid mahogany body backs and sides produce some solid sounds that will take your bass game to the next level. It has a FishMan Pre-Amp with an electronic tuner. There is on and off switch, mid, volume, and low battery indicator light. You usually get long hours of battery and replacing it is a breeze. If cost is not really a consideration for you, then buy this one for pure sound and durability. + One of the best acoustic bass guitars on the market. + Comes with hard shell carrying case. + Has an on-off switch, mid, volume, and low battery indicator light. Why We Liked It - Even when you plug it into a Fender acoustic amplifier, the rich tonal characters stay alive and gives an unplugged feel. This makes it great for plugin playing and produces a sound that is mesmerizing, to say the least. For most guitarists, their bass sound is the single most important consideration during their buying process. A lot depends on the tonal properties of the wood used for the guitar. Many people think that the top wood has the major effect on the sound of the guitar. However, the type of wood and its position in the body of the guitar only has a limited effect on the sound. The quality of the wood is more important, regardless of what kind it is. Nonetheless, it's good to know about the different tonewoods to understand things better when you're shopping around. If the sides and back of your guitar are mahogany, then you'll get a warm sounding, full bass. Mahogany is one of the most common tonewoods used in bass guitars. It has a low to medium density which emphasizes the lower registers of the bass. Unlike ash or alder, you don't really get a snappy string attack. This is quite an inexpensive wood, so it's frequently used in cheap bass guitars for beginners. You can think of it as being a little bit ash and a little bit mahogany. The has emphasized midranges and a sweet sound. Ash provides a lot more balanced tones that are rich and harmonic. The grain is attractive and the finish on these guitars looks spectacular, so a lot of bass guitarists go for ash. Alder is very similar to ash. Maple is a dense wood so the tones are crisp. It's a truly beloved tonewood among bass players because of its high definition sound and clarity. Maple necks are fairly popular. 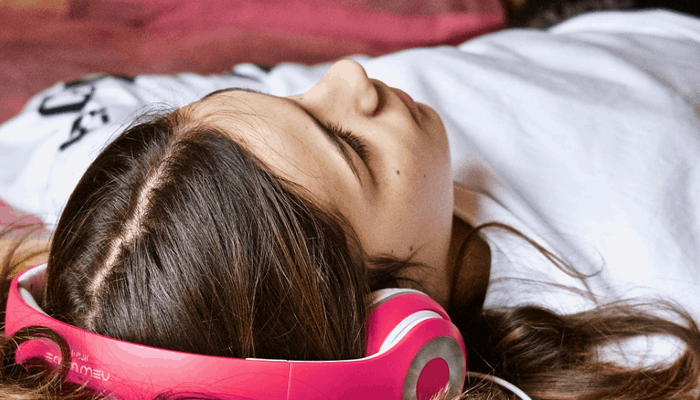 This is yet another popular type and suits a wide range of styles of music. It is an extremely soft wood so the vibrations are readily absorbed. 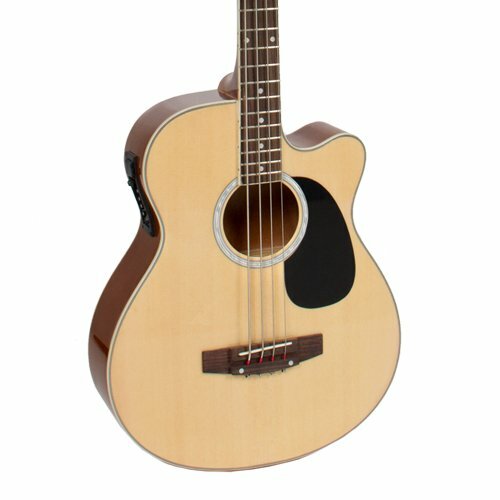 It is well-suited for complex techniques and for experienced players who have advanced bass skills. 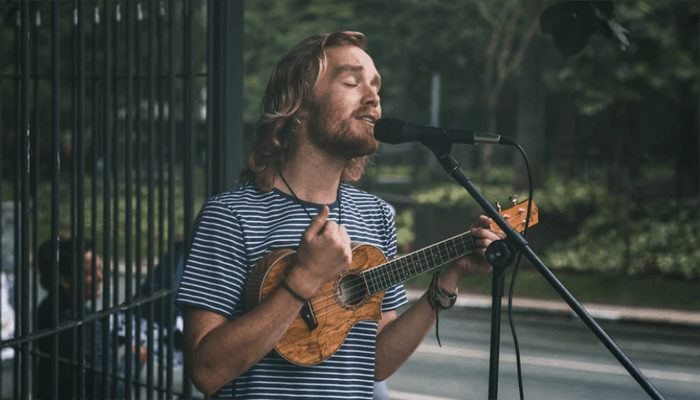 The basic idea of an acoustic bass guitar is to give you a hollow body that resonates and gives a fuller and robust sound that you can produce unplugged. However, many modern electric-acoustic bass guitars have the option to plug into an amp to improve volume, as well as a hollow body. There are two kinds of bass pickups: active and passive pickups. The former are newer and most modern bass guitars have them. There is more clarity and brightness in the tone on guitars with passive and active pickups. They have built-in preamps that are powered by an internal battery which produces a loud output. The battery needs to be changed, but on most guitars it should easily give you hours of play time. Passive and active pickups have been around for a long time and produce a warm, dynamic full tone. The only major difference is that you have less control over the tone of the bass. This isn't bad and is more like of a personal preference of the player. Those who like punchy tones will prefer passive over active any day. If you travel a lot and want something portable, go for a travel acoustic bass guitars. These are smaller basses and are very lightweight. They produce the same warm, sweet tones that any other bigger bass would produce. 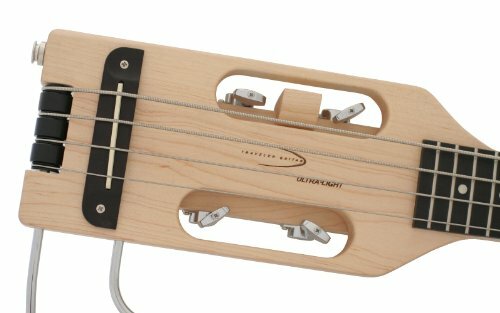 The Traveler Guitar Ultra-Light Acoustic-Electric Travel Bass with Gig Bag is the perfect high-quality travel bass guitar and has all the features you need to produce music on your travels. The gig bag and the removable lap support make it very convenient for the traveling guitarist. 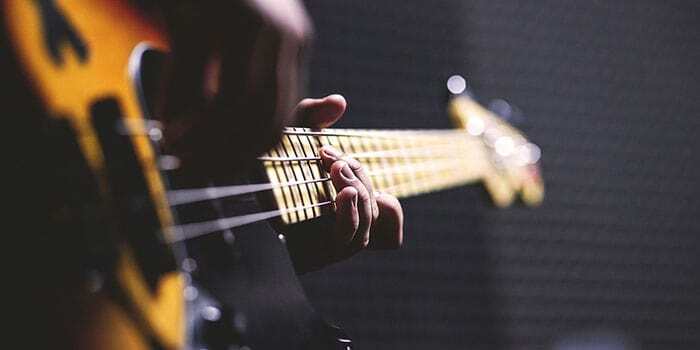 Money matters a lot when buying musical instruments because prices vary greatly for guitars in general, and acoustic bass guitars are no exception. While most guitars might cost you upwards of $100, you can easily find a decent quality one at a lower price. As for the high-end ones, expect to pay $300 or more for acoustic bass guitars from well-known top guitar brands like Fender. Quality has a direct link with price. Usually, the high-end musical instruments have a good sound and great finish. Nevertheless, the more affordable options are decent enough for practicing and adding a new layer into your music. 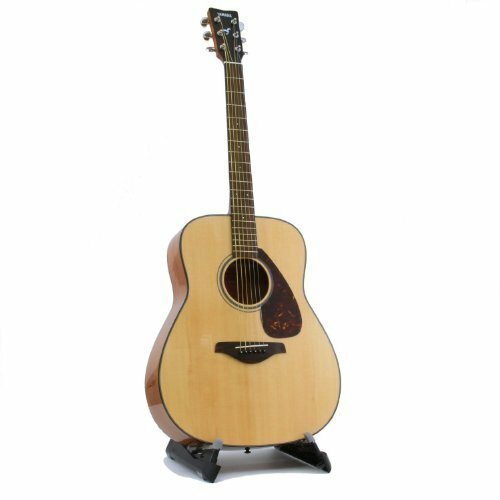 If you want great value for your money, go for the Electric Acoustic Bass Guitar Natural Solid Wood Construction With Equalizer. It has a mahogany back and sides and comes with a 4 band equalizer. The glossy wooden finish makes it irresistible. The sound it produces is warm, soft, and just as good as on some of the most expensive bass guitars. 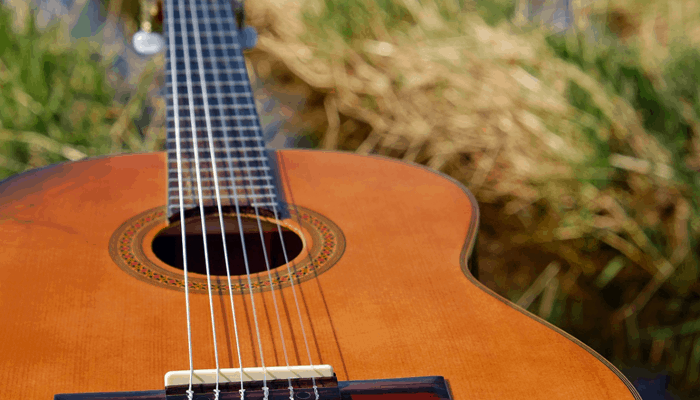 It is great for most styles and can be played by both beginners and professionals alike. 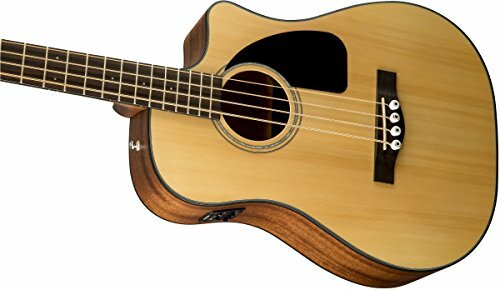 For those who are not bound by their budget, the highest quality acoustic bass guitar on the market is the Fender Acoustic Guitars California KINGMAN BASS SCE NAT W/ Hard Case Dreadnought Acoustic Cutaway-Electric Bass. This is without a doubt the best you can find anywhere. It's made from truly premium materials. You get a lot more control then you would with most acoustic bass guitars. The dual truss rod allows it to be adjusted to your liking. And the sound it produces is phenomenal. You can plug it into a Fender amp to crank up the volume. Fender needs no introduction when it comes to guitars and this is definitely one of their best efforts. As you know, bass necks come in many different shapes. There are oval, flat back, slim and round shapes, but it's up to you to decide what suits your needs best. The enclosed tuning machines are better compared with open ones. They can resist corrosion and rust. You will find that most of these guitars have enclosed tuning machines. The scale lengths vary on acoustic bass guitars but longer necks usually produce better defined low strings. On the other hand, shorter scales bass guitars are good for small hands. 30 inches would qualify as a short scale bass. The coated fingerboards are usually not that great and many guitarists prefer uncoated ones as they have a warmer and more natural tone. Coated fingerboards produce trebly, fretless sounds which lack high definition. This is more of a personal choice because most of the bass playing occurs on the lower strings. Usually bass guitars have 21, 22 or 24 frets. There is no significant difference between these numbers. There isn't a simple yes or no answer. 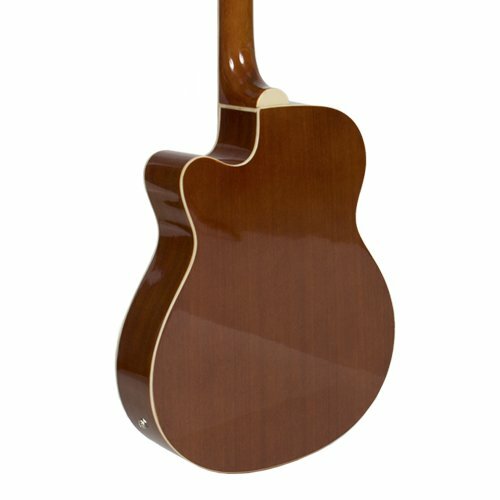 Some guitarists argue that acoustic bass guitars aren't the best for techniques like slapping or popping while some do it and find it works well. It depends a lot on your acoustic bass guitars and the strings in particular. Generally speaking, these guitars are big and have long necks which make them unfeasible for slapping or popping. However, high-quality guitars are fine for these techniques. The best advice if you want to slap your acoustic bass guitar is to buy high-quality strings preferably from a well-known brand name. It wouldn't hurt to try several out. You should try gauges 40-95 as they have a percussive sound. Acoustic bass guitars are great and produce warm, sweet sounds. A lot of guitarists like the sound and include them in their songs. As for slapping, you can try out this technique on some bass guitars to see what works. 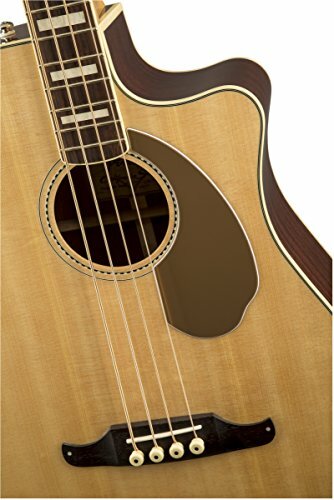 Acoustic bass guitars aren't as loud as a plugged-in bass but nevertheless, they do have a good audible sound. It depends mainly on the size of the guitar. 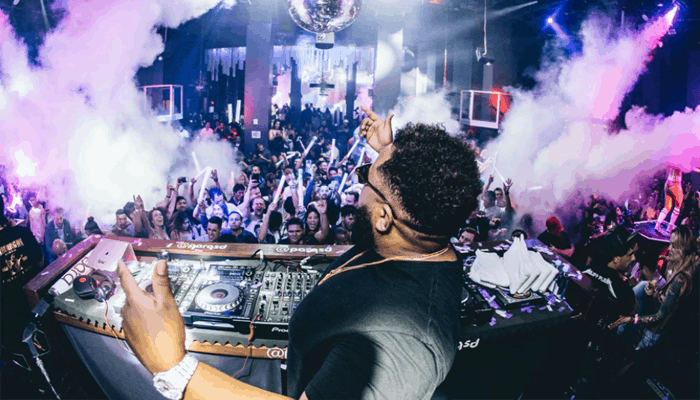 Those with a bigger body generate a louder sound than standard sized musical instruments. The acoustic guitars Ernie Earthwoods manufactured back in the '70s had huge bodies and a massive sound. They were like upright basses and the strength of their sound was similar. Most acoustic bass guitars have outputs for plugging them in and start playing bass with an amp. 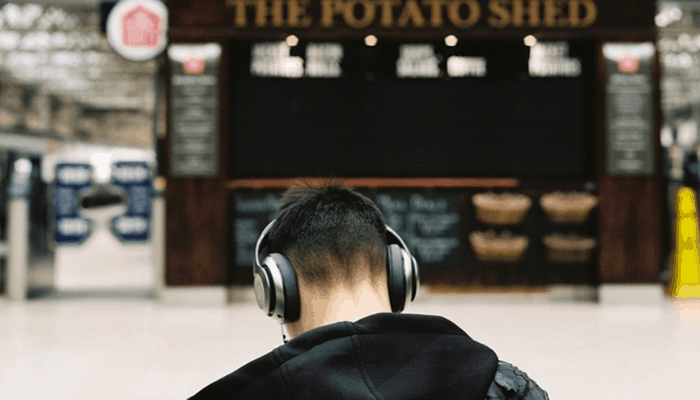 Even though most acoustic bass players like them for their unplugged sound, plugging them into an amp doesn't necessarily affect the sound quality. 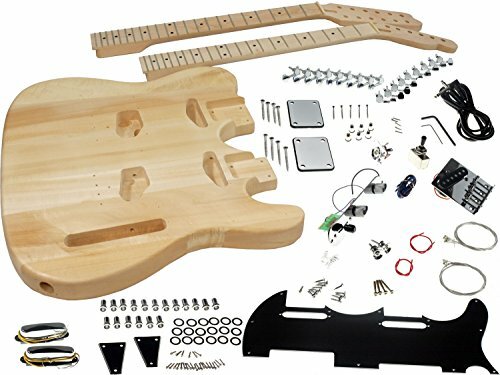 You get more or less the same quality provided you have a decent build quality guitar. If you're worried that your acoustic bass guitar may need more sound, you can easily plug it in to an amplifier. The scale of a bass guitar is measured from the bridge pickup to the nut, which is basically the vibrating length of the strings. The length has a direct effect on the pitch of the guitar as higher pitched guitars are smaller than basses. So as a general principle, the lower the pitch you need the longer the string you get. Most electric basses are 34 inches which qualifies as long scale. 30 inches is usually considered as small scale. Those in between are classified as medium scale. For acoustic bass guitars, you'll find similar scales. The small scale musical instruments are usually travel basses that are designed to be portable. The scale length affects the distance between the notes as the longer the length, the further apart the notes are along each string. As they are further apart, you'll need to stretch and move around to play them. This affects the playability of the bass guitar. If you have small hands, then this would be uncomfortable for you, so a smaller scale would be better. Another problem is that a lot of players don't really know if their hands are small or big. Some people have normal sized hands that are good enough for a large scale bass but they have a perception that that would be too big for them. Nevertheless, even if the bass is big for your hands it won't take long for you to master it and improve your skills. You can start off with a short or medium scale and as you improve, move on to a bigger one.